I moved towards the cave; a gush of rancid breath emanated from its bowels and gagged me. The black mass on the ceiling moved unsynchronised with the cacophony of countless squeaks. It was the realm of Basuki, a massive serpent, the guardian of Earth’s equilibrium. Had I been a few centuries earlier, I would have been terrified. Goa Lawah was a bat cave set in a hill called Bukit Tengah on the south east coast of Bali. 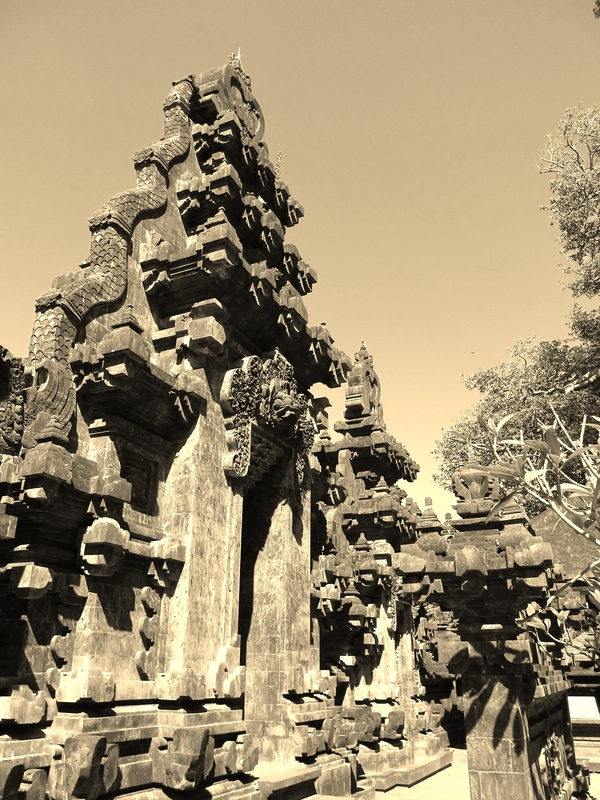 As per popular belief, the cave was connected to Mother Temple of Besakih, Mecca of Bali, which was 30 kilometres away. 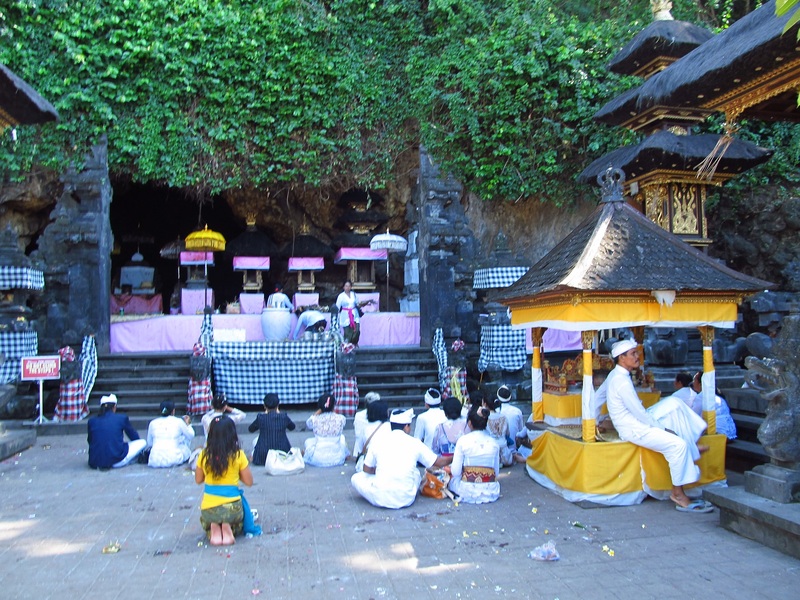 The site was revered by the Balinese Hindus; and opening of the cave had a shrine dedicated to Shiva, God of Destruction. 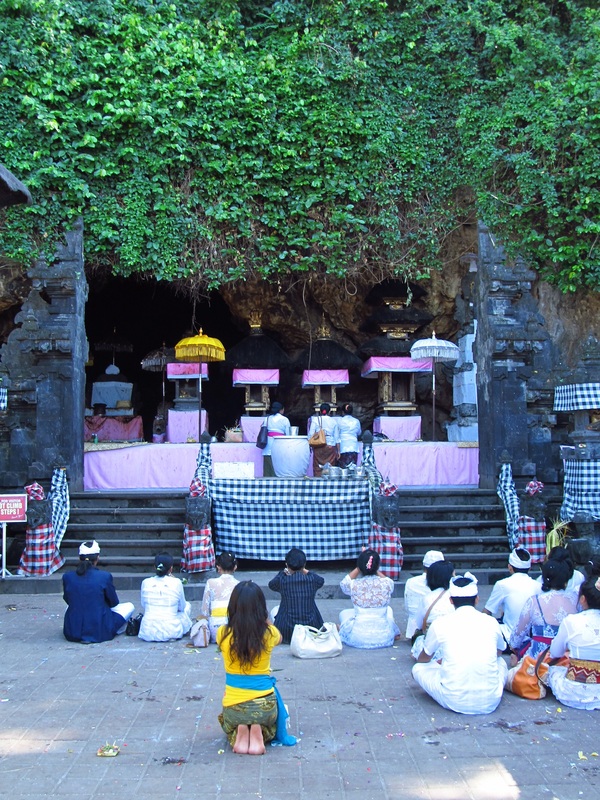 Back in the 10th century, a Javanese priest was said to have taken refuge in the cavern and had found inner peace. In an ammonia filled gas chamber, plastered in bat droppings, tranquillity seemed to be a far cry to me. At least, the devotees at Goa Lawah could connect with their inner-selves. They were totally oblivious to the presence of tourists; and tourists, of them. Whilst the faithful immersed themselves in inner bliss, we bathed in the glory of our lenses, to be later tagged on social networking sites. 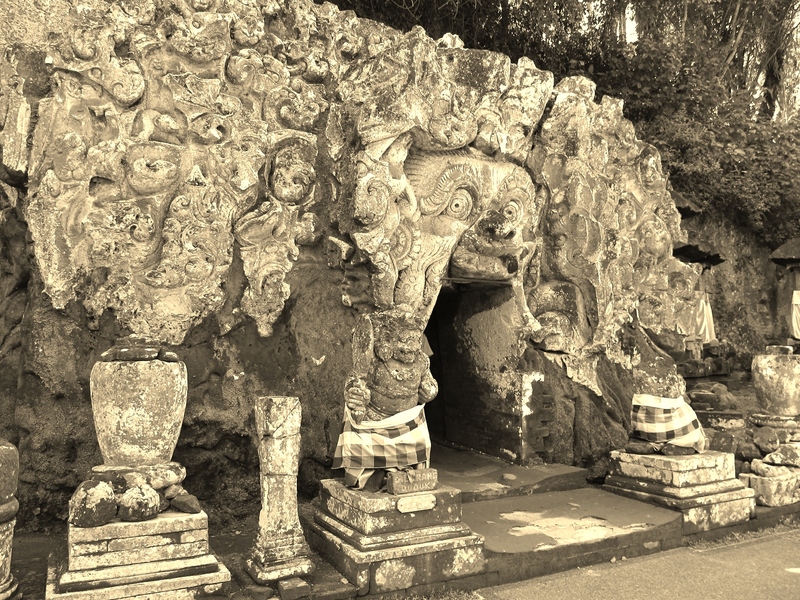 Talking about caves, Goa Gajah or Elephant Cave was our next stop. 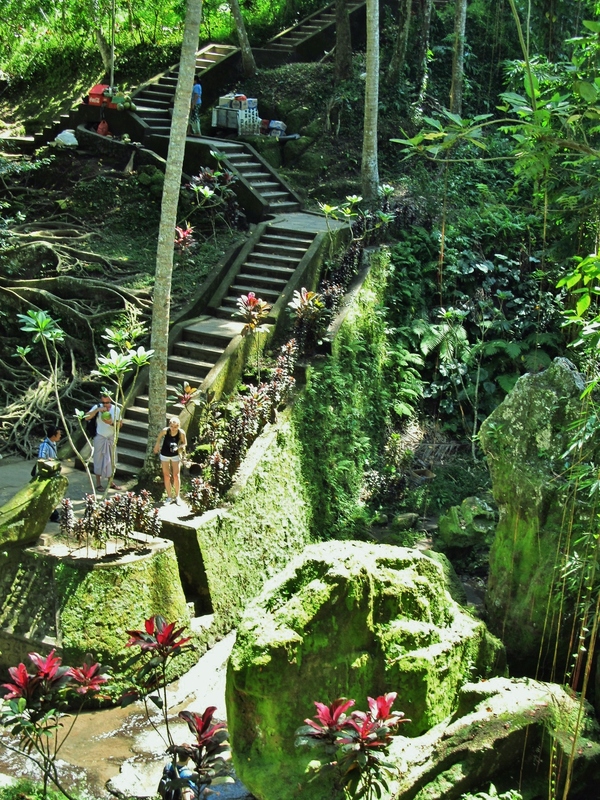 It is located two kilometres away from Ubud, Bali’s cultural capital.The grotto was built around the 11th century and had served both as a Hindu and a Buddhist monastery. Thankfully, we ignored the numerous guides who lurked near the entrance of the ticket desk. Demon Kala ushered us into its open jaws. Kala or Time devours everything. On traversing the narrow, dark passage we came across an intersection. Ganesha or Elephant God sat to the west end and numerous phallic and yonic symbols on the east. A pool of sacred water with seven fountains sat in front of the site; it was used for rituals by humans and monkeys, alike. The seven fountains represented the seven holy rivers of India – Ganga, Indus, Saraswati, Yamuna, Godawari, Sarju, and Narmada. The bathing pools were excavated in the 1950s. Rain forest surrounded the Elephant Cave. Moss covered ruins, overgrown roots of the colossal trees, and burbling of the stream made the place look like an Indiana Jones movie set. Beyond the wilderness were paddy fields and children played in water. Children, like monkeys, can be absorbed in little joys of life. Just hours ago, in front of the Bat Cave complex, we came across blaring music on the street. The cart was a mobile joy-ride for little children. They yelped and shrieked from their rocking seats; two rooster-faced rides which seated the main rider and a pillion. Kids bigger that the tots surrounded the cart. I felt lucky to have seen Santa’s Sledge. If only the rest of us could live in the present and appreciate it! This entry was posted in Travel and tagged #asia, #bali, #batcave, #cave, #elephantcave, #hindu, #indonesia, #temple. Bookmark the permalink. Well written and crisp narration. 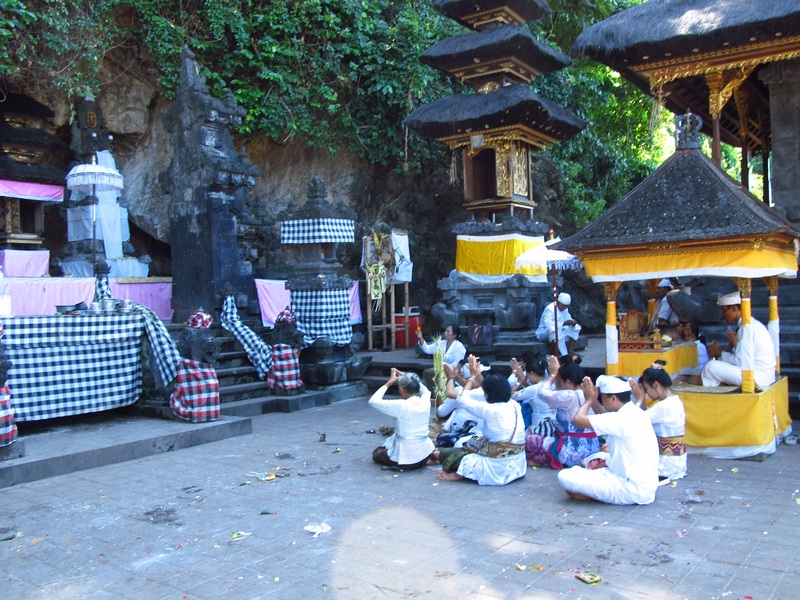 I love how Bali still holds on to Hinduism and celebrates it cut away from India while being a part of a Muslim country. The names get altered a bit Vasuki becomes Basuki and the island has even roundabouts named after Ghatotkach. Thanks Arunabh, Bali is an incredible place and has a unique culture. 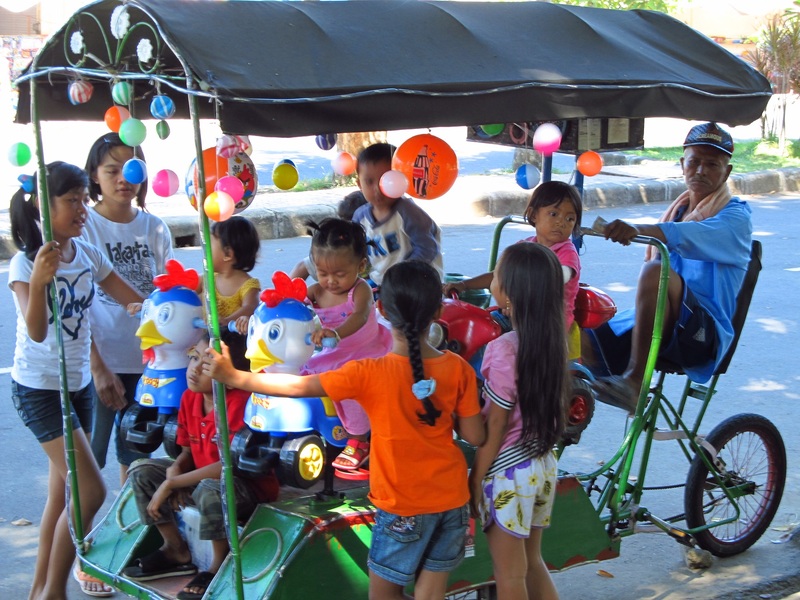 Sadly, it has faced continual assaults of commercialisation and the fact is evident in south bali. 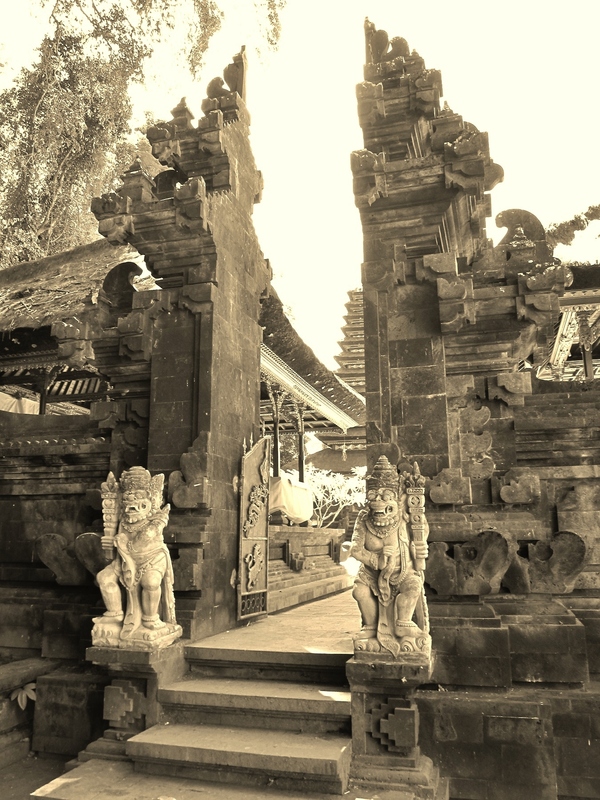 Indonesia is a secular country and may be that’s why Bali has beem able to retain its Hindu heritage. Enjoyed reading your post and your pictures are beautiful! Thanks Deb, I am glad you enjoyed the write up and the pics. Have you been to South East Asia? You’ll love it! Well written. Loved the narration..specially the initial lines about “the rancid breaths from the bowels of the earth ..which is Basuki’s realm..” …. creepy . In fact, Faith keeps us satisfied.